What Is The Definition Of Gutter Ball In Bowling? 1. 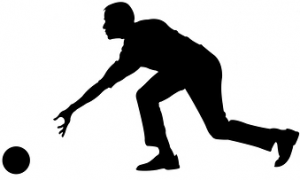 Gutter ball is a term used to describe a ball that rolls into the gutter before hitting the pins. A bowler receives zero points for every ball that ends up in the gutter. 1. Mathews looks like he fumbles his release, sending the ball gliding into the far side gutter for a gutter ball.